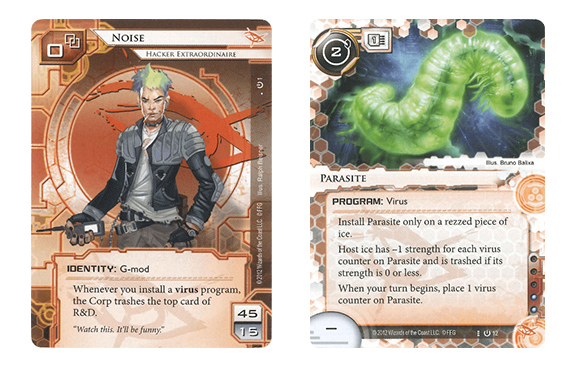 I haven’t played much competitive Netrunner but have come up against the annoying archetypes, just not the killer combos. 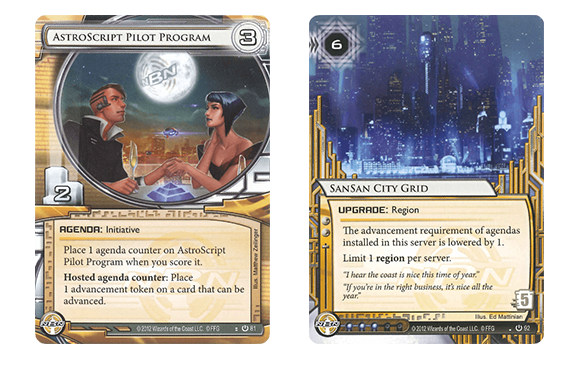 For myself, the premise of Netrunner – a game of interacting with the person across the table – makes me want to steer clear of the archetypes which degenerate into solitaire play, and while those archetypes are definitely present, I don’t think the majority of players play solely to break the game and win at all costs. The game gives you so much to play with that I’m more engaged by the playing, as opposed to the winning, and (from my experience with other players and the talk in the online community) I’m in the not-so-silent majority. I’m a little unclear as to what you’re ultimate conclusion was, but if its “The Way to Enjoy Playing is Not To Play to Win At All Costs”, I definitely agree. Maybe I’m just lucky, but I’ve never had a role-playing group that had one of these players. I know I do have a min-max tendency but I like to play within the system, to develop characters that are both thematically and mechanically viable, rather than making a system-breaking character just encourages the DM to find a creative way to kill me. I’m currently playing a game where one of the players has a fairly useless character, but he’s made the active choice to keep playing him cause he likes genuinely playing that character and that’s more rewarding than having a +5 attack bonus. Thank you for the article! I feel like the recently spoiled Hades, Eden, and Utopia shards make it pretty clear that the ANR design team knew about the combo in their testing, espeically when you factor in Lukas’ assertion that “everything needs a counter”. 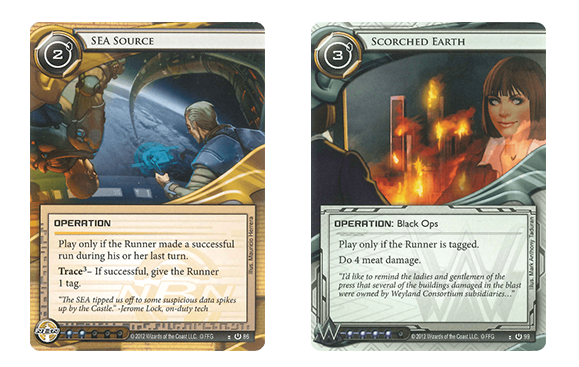 (The Hades shard especially means that if the corp dumps their entire deck into archives, the runner can choose to access all cards in archives instantly, which will probably win them the game before the corp can fire off their accelerated diagnostics combo). 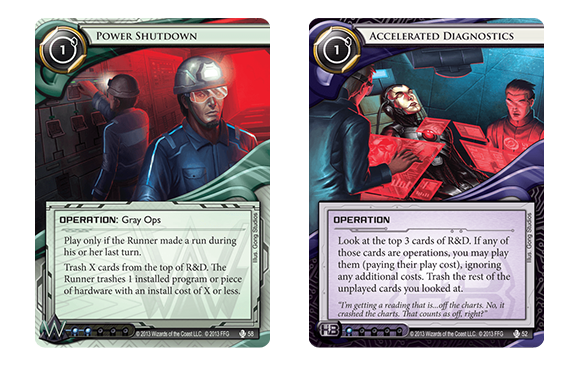 This Power Shutdown + Accelerated Diagnostics combo is the first thing that’s got me interested in Netrunner. I’m the kind of player who likes playing an orthogonal game, where the opponent has to concoct a different strategy than the same one they play every time. It tends to make the games very short, which I also like. There’s room for “degenerative” things like these, as long as they’re sufficiently worse than the mainstream strategies that they don’t dominate the metagame. Any successful competitive game has its “parlor trick” strategies, from knife-running in Call of Duty to combo decks in Netrunner to the suicide rush in Starcraft, and they’re a healthy part of the competitive ecosystem. A deck with Plascrete Carapace is more random, even if it’s stronger overall. These decks sound very similar to some of Magic: The Gathering’s early growing pains. You have the control deck which bypasses all your offensive cards by playing nothing to defend against, the combo deck which relies on a single fundamentally broken card (Power Shutdown) but would be fair if that piece was less powerful, and the burn deck which uses an existing game mechanic, but doesn’t give you advance warning that it’s about to win, so it feels unfair even when they did just as much work as you did.